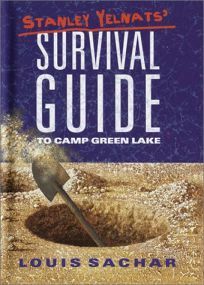 Fans of Louis Sachar's Holes can bide their time until the movie's premiere by reading Stanley Yelnats' Survival Guide to Camp Green Lake, also by Sachar, illus. by Jeff Newman. ""If you're reading this book, chances are you've been convicted of a crime and have been sentenced to the Camp Green Lake Juvenile Correctional Facility.... Maybe you're innocent-more likely not,"" Stanley states in the voice his followers have come to love. Tips on digging holes, identifying various rattlesnakes and an appendix of who's who in the novel Holes are just some of the highlights in this bible of the Texas desert. B&w drawings bring the dangers to life.